Surprising though it is to the many people dazzled by the constant stream of new technology launches, good old radio (meaning that broadcast linear stream of predominantly live presenter-led audio content) remains in great shape. The facts speak for themselves: record audiences of 48 million (91%) of adults listen to radio every week for an average of 21 hours, with nearly 35 million tuning in to the commercial sector alone. It’s no surprise also that the IPA’s TouchPoints 4 study demonstrates that radio is still the nation’s second most-consumed medium after TV, accounting for over a quarter of the average adult’s time spent with media across the day. Perhaps this love for the medium derives from the fact that, freely available and effortless to consume, radio on any platform continues to play a unique emotional role in the listener’s life – lifting their mood when engaged in other tasks, wherever, whenever – a role that is impossible for other media to fulfil to the same degree. Britain’s love of radio means that the medium wields incredibly powerful emotional influence for advertiser brands. 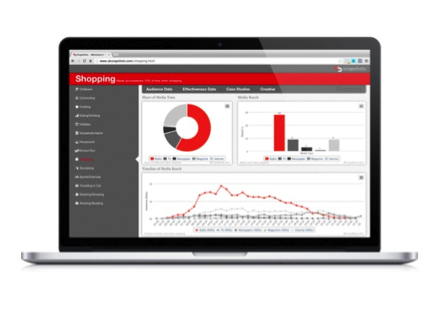 Snapshots is an interactive behavioural planning tool which combines IPA TouchPoints data with RAB’s own radioGAUGE data, case studies and inspiring audio – giving planners a unique insight into how media can help connect with and influence consumers at relevant moments. This study aims to help advertisers and their agencies develop richer learning about radio creative effectiveness. 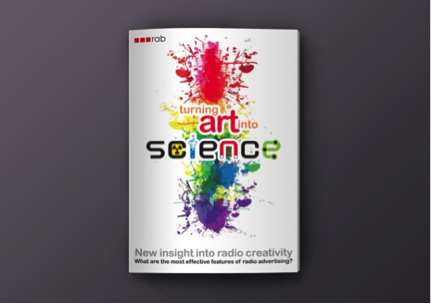 The report reviews two different data sources to explore the most effective creative features used in radio advertising and considers how advertisers should take these into account from the briefing stage through to final production. This is an effectiveness planning tool which can help advertisers understand what radio can deliver for their marketing campaigns using aggregated effectiveness data from hundreds of radio campaigns. 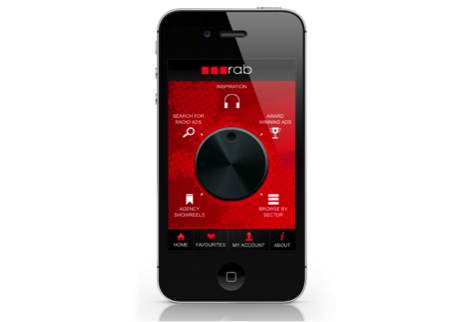 RAB have developed an iPhone and Android smartphone app which gives advertisers and agencies creative inspiration at the click of a button. 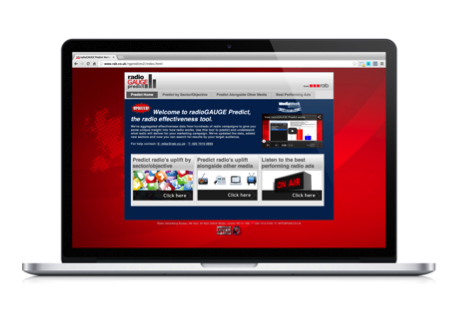 Users can search, browse and listen to thousands of UK radio ads. Radio has a unique collection of media characteristics that mean it can play a valuable role in almost any advertising strategy. With over 270 analogue and 130 digital stations in the UK, coupled with the use of the medium to accompany tasks across the day, the radio audience can be segmented into very specific niches based on a number of different criteria, e.g. 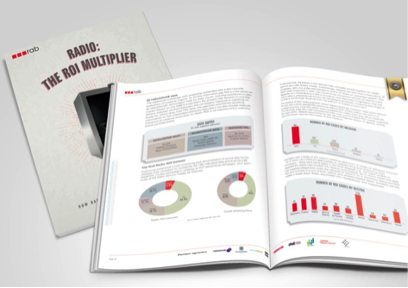 Raising awareness - The Awareness Multiplier Study conducted by Millward Brown in 2000, demonstrated radio's cost-effectiveness in generating awareness compared with television. Increasing sales - The Sales Multiplier Study conducted by dunnhumby revealed an average sales uplift of 9% attributable to radio advertising. Driving response - Case studies and research highlight radio's ability to get people to respond to advertising messages. Radio is especially effective as an indirect response medium, alerting people to respond via other media, e.g. online. Building a brand - Case studies illustrate the power of radio in influencing the listener's emotional impression of a brand. Radio advertising offers efficient targeting - Radio targets audiences efficiently because different stations attract different listeners – Kerrang listeners are worlds apart from Classic FM listeners etc.This allows advertisers to talk selectively to the groups they are most interested in. Added to this is radio’s regional/local structure, which means that brands can focus their activity very effectively onto key market areas. Radio advertising reaches people at relevant times and places - Most radio listeners are engaged in another activity, and this means that advertisers can reach listeners at key “touchpoints” – when they are on the school run, surfing the internet, before going out on Friday nights, and so on. And now that radio can be heard on mobiles, on the internet etc, these touchpoints are becoming even more widespread. Research shows that advertising which is relevant to a listener’s other activity is over 60% more likely to be recalled. Radio reaches out in an ad avoidance world - Research shows that radio, together with cinema, has the lowest level of advertising avoidance – people rarely switch stations, and are available to listen to any message that is relevant, creative, intriguing etc. This is a great opportunity for advertising who want to reach out to new customers, or to tell existing customers something they didn’t know. Radio advertising creates a large “share of mind” for a brand - In the same that radio stations create chart music success, they create a sense of ubiquity for a brand. This is for two main reasons – firstly, because radio ads are on frequently, and secondly because listeners tend to spend so long listening (on average 14 hours per week). A brand which is big in radio can create a disproportionately large share of mind for itself. Radio drives response, especially online - Radio has always been a strong “call-to-action” medium, and this is even more true in a world where consumers access brands via the internet. Recent IAB/RAB joint research revealed that at any given time a fifth of internet surfers are listening to radio – so they are a click away from interacting with a brand. Radio is “a friend” - Listeners use radio for emotional reasons – to keep their spirits up, to stop themselves from feeling bored in a car or isolated while doing daily chores. This leads to them seeing radio as a kind of friend, and this is a valuable context for an advertiser to appear in. It is even more powerful when advertising extends through into branded content – sponsorships & promotions. When a radio station presenter talks about “our friends at Company X”, the listener is hearing about a friend of a friend – this has a strong effect on bringing a brand closer.